After a tournament has been made, you can add or remove events as needed. In order to do so, you'll want to go to "Events" on the Tournament Admin page. There you can see your list of current events, and either delete or create events as needed. 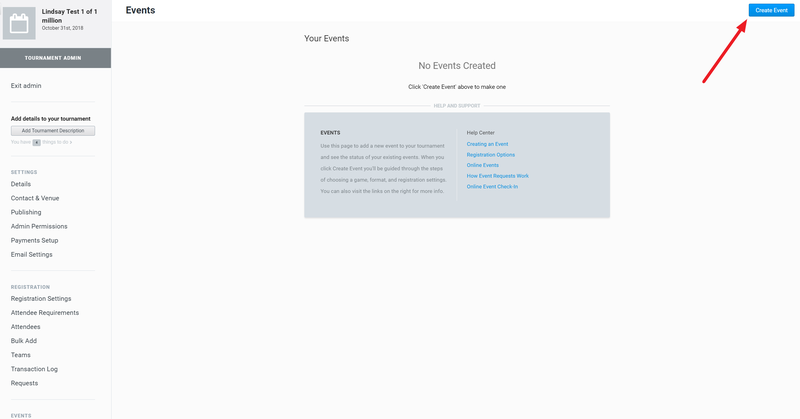 Step One: Click on "Create Event"
Once you've clicked on the "Events" tab, you'll see a blue "Create Event" button in the upper right hand corner. You can choose from the list of our most popular games, or search for one. If you do not see your game listed, please search and select "Other". 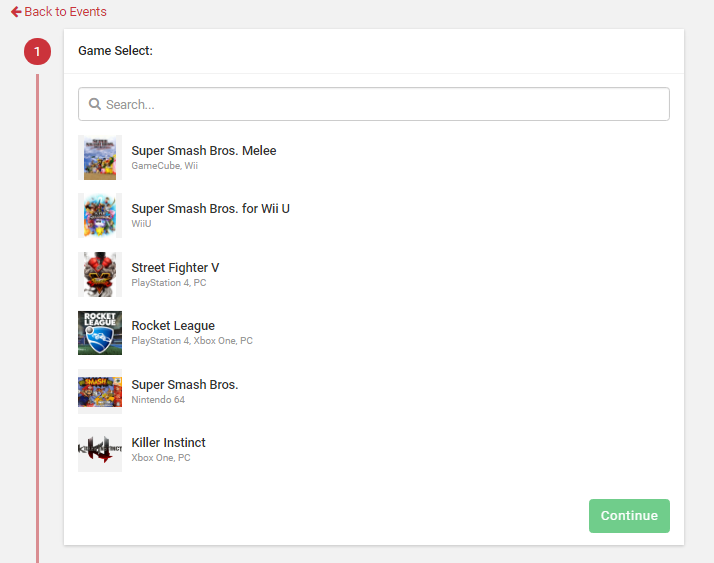 If you would like a platform added that is not listed, please contact support (hello@smash.gg) to get it added. For certain games, make sure you select the right combination of platforms (if it applies). 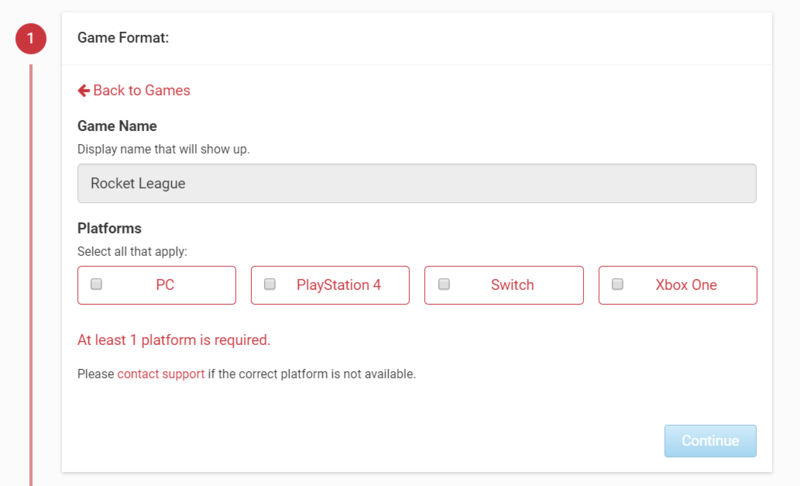 For example, there is no cross-platform play between PlayStation 4 and Xbox One for Rocket League, so make sure not to select those as your platforms before proceeding. Standard event types will be listed, or you can select a custom format. If your event type is not listed, select "Custom Format". Make sure to select whether the event is offline or online. Registration Format is where you set up further details for the event. 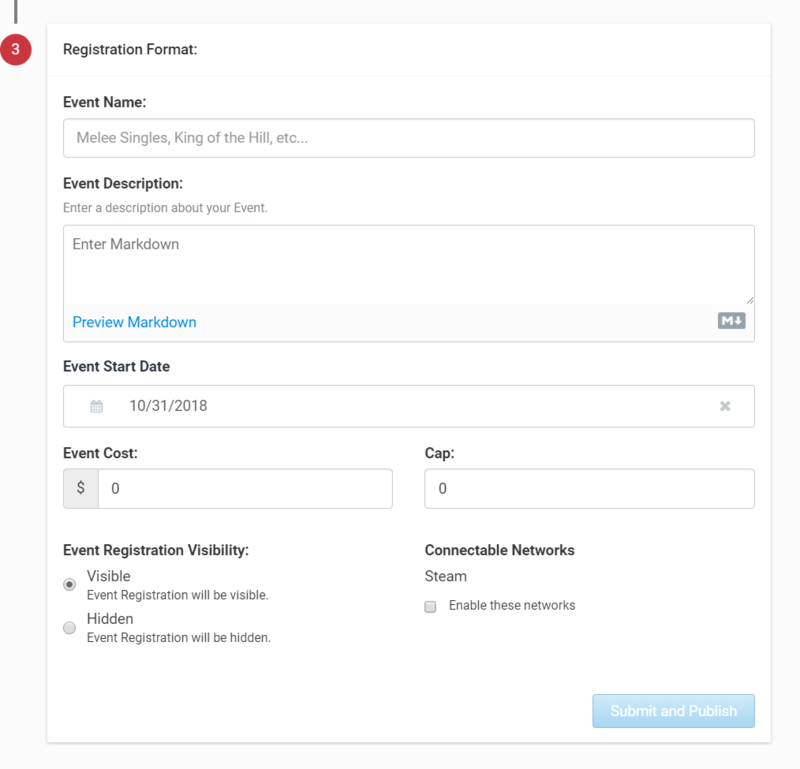 Here you can set up the event name, add a description, set a cost (offline events only), or cap the event. You can also decide if you want the event to be visible or hidden in registration. 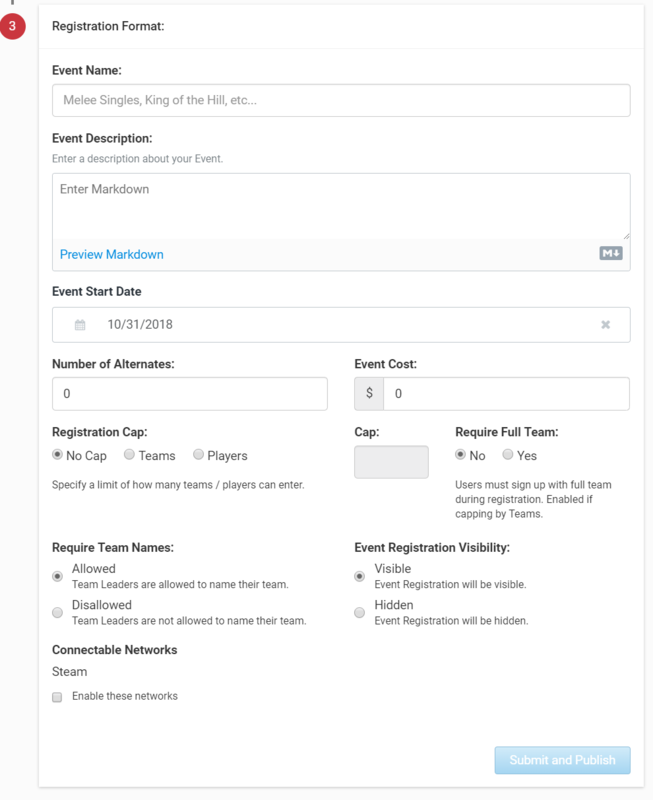 For teams events, you can also set whether team names are allowed and if a full team is required when signing up. Clicking on "Submit and Publish" will apply your settings and create the event. Note: Quicklinks have been added to the event cards to quickly take you to the relevant settings. Click the edit/delete link to configure event specific details.